Comecer will participate in ETIF 2018, the 10th Congress and Exhibition for Pharmaceutical, Biotechnological, Veterinarian and Cosmetic Science and Technology. It will take place at the Centro Costa Salguero in Buenos Aires, Argentina, October 16-18, 2018. 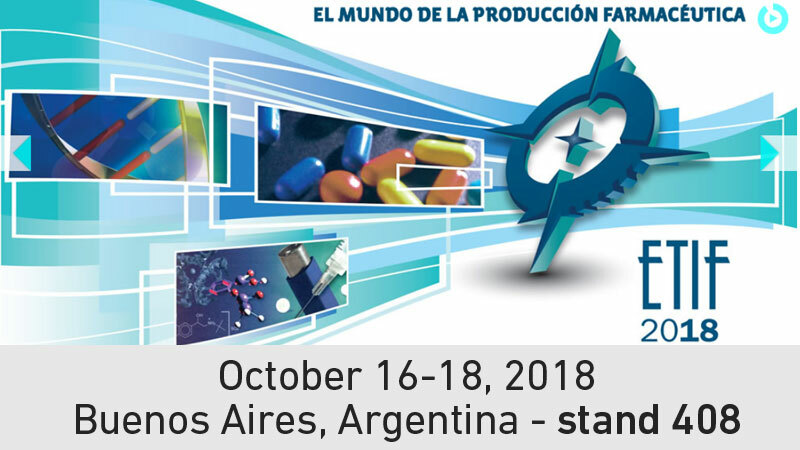 We look forward to meeting pharmaceutical and biotechnological industry participants from all of Latin America in stand 408, shared with our local agent Adrialab. Customized solutions for aseptic handling and filling of bulk API powder. 18:05-18:55: Ventajas del concepto de aisladores en comparación con las salas limpias, normativas vigentes y ahorros en sus diferentes niveles.